Virtual war. That's what Instagram declared yesterday when the Facebook-owned social media giant rolled out their latest update sharing an all too familiar user experience touted by rival platform, Snapchat. What are they doing? How could this happen? Why are they doing this? After turning over a few stones, we saw this coming from a mile away. 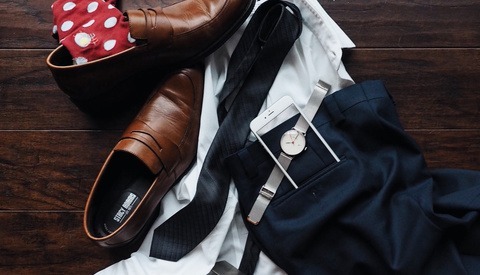 Facebook and Instagram ultimately decided that if you can't buy them, become them. 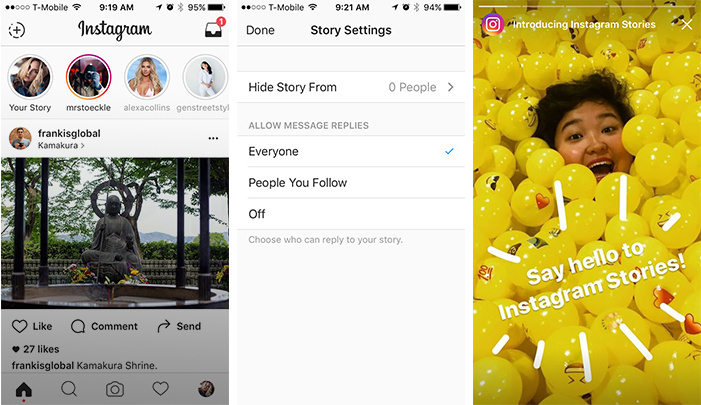 In case you're living under a social media rock or your Wi-Fi stinks at work (like mine), Instagram rolled out what they call "Stories." This new feature "lets you share all the moments of your day, not just the ones you want to keep on your profile. As you share multiple photos and videos, they appear together in a slideshow format: your story." Users will now have the ability to post creative content (including the use of text and drawings tools) that is separate from your profile and feed; the Stories then disappear after 24 hours. What I found most surprising is what they call the feature: your Story. I'm no lawyer but my first thought was doesn't this cross the legal line of infringement of Snapchat's flagship feature, Stories? That's neither here or there and honestly up for another discussion at another time. Back to the main point. The deal here is that Instagram is taking the angle of how users don't have to worry about "over-sharing" and clogging follower's feeds. 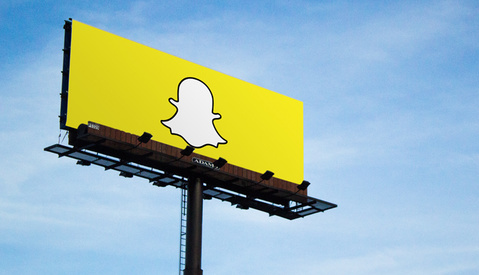 This feature's model is what make's Snapchat so great and popular. It doesn't take a genius to figure out what Instagram's strategy here is: they're trying to take market share away from Snapchat. In other words, they're trying to deflate Snapchat's platform and kill their momentum of quickly becoming the next best social media platform offered. They're looking to take a chunk of the 150 million daily active users, 10 billion daily video views, and the most used platform by millennials since 2012. My very first impressions is that it is very similar to Snapchat almost to a T. You're able to quickly create content by clicking the button on the top left corner or swiping the screen left to right. The friends you are following appear on the very top of the feed in chronological order (at least for now). You are able to see who views your content by swiping up similar to Snapchat, and unlike Snapchat you are able to customize who sees and doesn't see your stories. Instagram solves the discoverability problem of Snapchat and beautifully combines permanence with ephemerality. Though I've been posting almost daily stories in Snapchat, I have nothing to show for it. No track record, no success metric and no reason to encourage people to follow me — except for my success on other platforms. 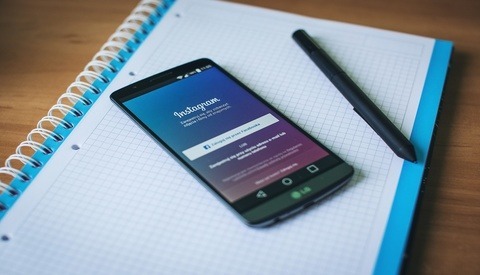 Instagram provides not only the beautiful portfolio, it now fills the gaps between posts and provides valuable engagement statistics. It's more efficient. I still think Snapchat still has the fun and advantage in messaging but Instagram is the more valuable place to invest your time as an influencer. Note: Engagement fall off on Instagram is very high for me right now, I think it's both a question of audience and buffer. It will take things to stabilize so maybe it will change. The foreshadowing of this "virtual war" potentially started in the fall of 2013. While Snapchat, founded by Evan Speigel and Bobby Murphy, was quickly gaining traction as one of the most used apps by millenials as stated earlier, Facebook took notice and was interested in purchasing the platform. By interested, I mean 3 billion reasons why they were interested. Late 2013, Facebook indeed offered Snapchat a $3 billion cash offer, and Snapchat respectfully declined. This was odd. You usually hear Facebook acquiring social media giants like Instagram and Whatsapp, but this was quite the contrary. In fact, it was reported by Forbes that Zuckerburg met Spiegel in late 2012 and tried scaring the Snapchat founders that they were planning to release a similar app, Facebook Poke, which proved later to be a flop. Spiegel, Snapchat's CEO and co-founder, stated, "I think trading that for some short-term gain isn’t very interesting," and that the founders sensed weakness and opportunity with their growing app. For once, Facebook didn't get what they wanted. 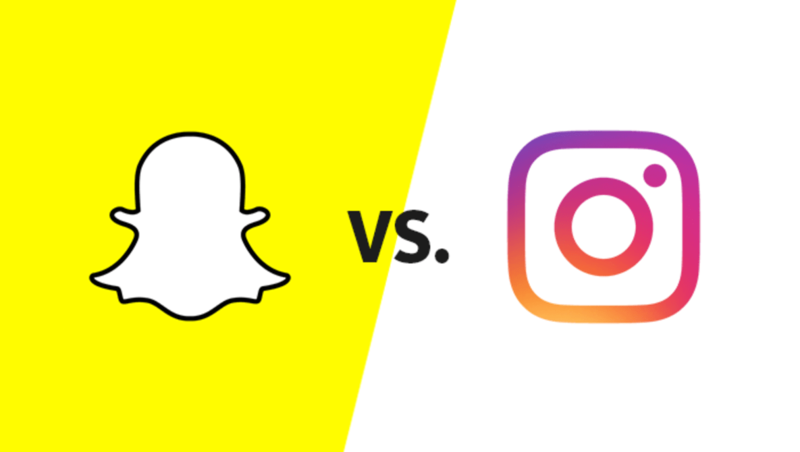 Whether it was intentional or not, promoting your own Snapchat has proven to be more challenging compared to other social platforms. Naturally, users found different ways to cross-promote their Snapchat accounts on platforms like Facebook, Instagram, and Twitter. A few ways were embedding your Snapcode, a user's scannable QR code, or including your Snapchat username in your bio. While this trend of cross-promotion was catching on, Facebook discreetly began to remove Facebook user's profile picture who used a Snapcode without any notice. Von Wong claimed his Snapcode was removed without notice. Facebook does have an explicit policy against publishers or brands promoting 'third parties' in their profiles or cover photos on the social network. It was a policy that was explicitly outlined in an update to rules regarding branded content, which were given to publishers this month. Facebook also has been known to be strict about how its users promote Snapchat, not just on Instagram and in Messenger. The messaging app has prevented people from sharing Snapchat links in messages, because they were classified as spam, according to reports. 'These platforms are designed to keep attention from the other platforms. It’s not in Instagram’s best interest to build another platform’s audience,' Rezvani said. This makes total sense from Facebook, Twitter, and Instagram's perspective, they aren't in the business of promoting competitors platforms. Why should they be? Why did Instagram, owned by Facebook, decide to do this? At the end of the day, you guessed it, it's all about the money. Snapchat has been finding effective ways to monetize their app catered for both users and advertisers (even presidential campaigns). So effective in fact that they are reaching 41 percent of consumers ages 18-34 in the U.S., projecting to earn $300 million in 2016, and anywhere from $500 million to $1 billion by the end of 2017. But at the end of the day there is only so much piece of the pie, all advertisers have budgets and it is a business more than some would like to believe. Cutting as much as you can is crucial for these giants, and apparently they'll do it by any means necessary. What Does This Mean for Me and You, the User? My bit of advice is to evolve, never become too complacent and too comfortable with one platform if you're serious about building your brand on social media. At a snap of a finger things change. Never put all of your eggs in one single basket. If so, you're leaving yourself very vulnerable when change comes. This is great for those who weren't completely on the Snapchat bandwagon, especially if you have the leverage of a solid following on Instagram. For Snapchatters, who knows. It will be interesting to see how Snapchat responds to this, if at all. So I'll leave to you guys, do you think Instagram's move will be successful? Or will this be another flop for Facebook's battle with Snapchat? Share your thoughts in the comments. I recently started on Snapchat and surprisingly was loving it. I was finding IG just a tepid place to be, bored of the over promo'd look a like images and odd sugestions which really had no resemblance to what I was following/liking but now what I liked about SC is on IG except I have a better following..... Interesting choices ahead, ditch SC and stick with IG or keep both? I think Snapchat is the king of over promo and odd suggestions with their hugely intrusive sponsored stories surrounding your friends' updates and the entirety of the discover window. I always found it tough to get going on Snapchat. I was more a viewer than a creator. I'm liking that IG Stories is bolted onto something I already use. When I first heard about this I was furious! How can Instagram act this desperate and copy the EXACT same concept without a bit of innovation. I love Instagram it has provided me with a platform to show my work as a photographer and I have a solid following there. I also love and use Snapchat to document daily activities and my travel stories. When I opened Instagram App today I felt weird about it but when I saw the stories I had a change of heart. In Snapchat I can't preview stories of people before actually following them therefore I only follow few people. While today when I saw Instagram stories I saw many stories of people I don't follow on Snapchat. I think Instagram stories can be used as previews to have a look at someone's story before committing to follow them on Snapchat. So yay for us ! What I like is that Instasnap didn't make the 'story' portion that invasive into the overall experience of Instagram. Snapchat never caught on for me, I just didn't get the appeal...I couldn't search, I had to message specific people instead of everyone seeing what I posted, the filters, lord I despise those so much. Like others have said, the stories can pull people in to what you are doing in that moment, that day, but then they have that already established body of work to thumb through and follow. If I post a BTS story during a shoot, then post the resulting picture, they go hand in hand to me as a creator. Snapchat to me was just useless for the most part. I may be slightly upset with IG for the algorithm based feed (which hasn't been that bad), this is a GENIUS move by IG. I was never a fan of Snapchat. It was clunky, it wasn't user friendly, I never took advantage of the filters because I thought they were pointless, and the whole earning points seemed silly (maybe because I didn't understand it). It was so full of really awful content most of the time too. IG Stories are more simple, and they flow so very nicely into my following and feed already. It allows me to post the things I don't want in my actual feed into the story. I will be joining the #RIPSnapchat bandwagon and be gladly using IG feeds. Why have two apps to do 2 things, when I can get a professional seamless integration into 1 app and still keep all my followers? This is officially a war. I believe in snap chat, because they are the original creators of this. They will come up with something else in the future and beat instagram. Not a fan of instagram at all. its mundane and lacks creativity.